To mark the return of The Crown to Netflix this week, Three UK is giving fans of the show the chance to binge watch the series with a corgi for company. Launching on 8 December to coincide with the arrival of season two of The Crown on Netflix, "Borrow My Corgi" will give fans of the show the chance to dog-sit one of the specially-selected pooches of the royal variety over the course of the weekend to enrich their viewing experience, whether they are at home or on the move. 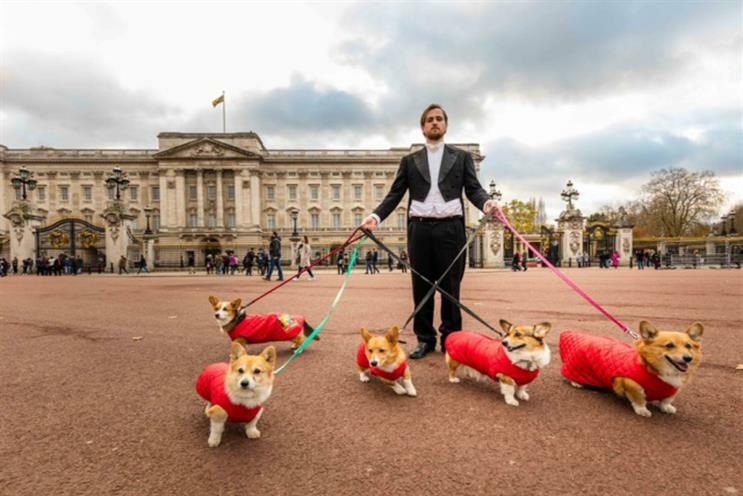 The activation has been inspired by the Queen’s longstanding love of Corgis. Those taking part can expect to have their four-legged friend chaperoned to their front door by one of the "BMC Royal Butlers". They will then be free to enjoy the company of the pooch while bingeing on the new series. "Borrow My Corgi" also celebrates Three’s Go Binge service, which launched earlier in the year and allows customers to stream freely from selected services, including Netflix, without it coming out of their monthly data allowance. Shadi Halliwell, chief marketing officer at Three, said: "Along with the rest of the nation, we have been swept up in The Crown mania. ‘Borrow My Corgi’ is a fully-immersive experience, complete with the perfect canine companion, to binge-watch the next phase in this historical saga in majestic style. It is the ultimate way to stream The Crown – whether at home, in the park or on the move." The activation has been devised together with Cow PR and runs until 10 December.